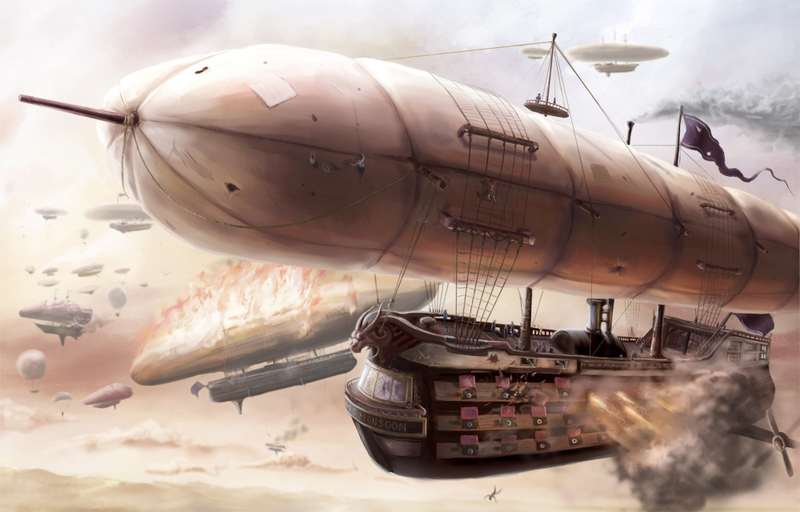 An epic airship battle unfolds high above the world. Under heavy fire the crew of the HMS Monsoon unleash a broadside on the port side guns while patchers hurry to repair the damaged balloon. In the background the once mighty HMS Tempest begins it’s final descent as her crew scramble for the lifeballoons.